Austrobaileya scandens, an ancient liana found only in the tropics of Australia, is flowering in the Friedman Lab! This species has weathered millions of years of changing environmental conditions, and despite its early origins, is the sole remaining species of its family, Austrobaileyaceae. A recent expedition and accompanying study by Ned Friedman, Juan Losada and Julien Bachelier examined prolonged embryo development in this extraordinary species. 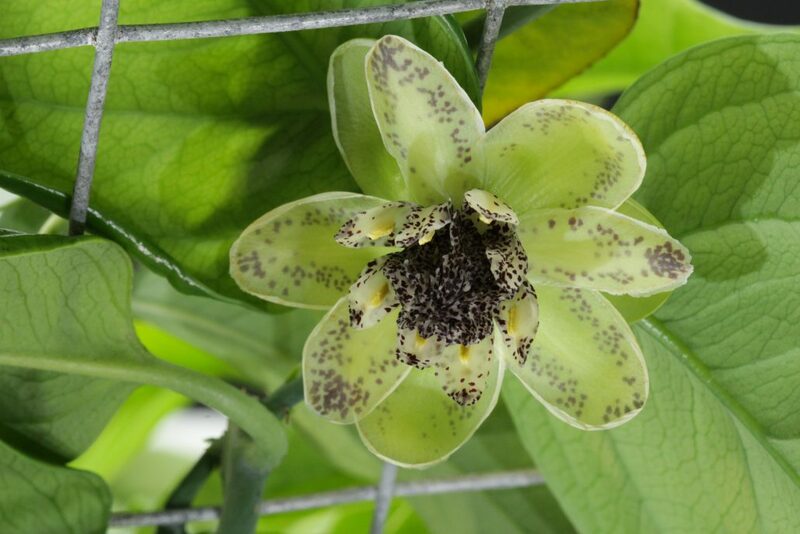 Austrobaileya scandens Flowering Time Lapse 2 from Friedman Lab on Vimeo. https://plantmorphology.org/wp-content/uploads/2017/05/IMG_3708_edited.jpg 3456 5184 Daniel Schissler /wp-content/uploads/2017/01/harvard-arnold-logo.png Daniel Schissler2017-04-25 17:12:002018-04-26 19:57:33Austrobaileya scandens, an ancient liana found only in the tropics of Australia, is flowering in the Friedman Lab!